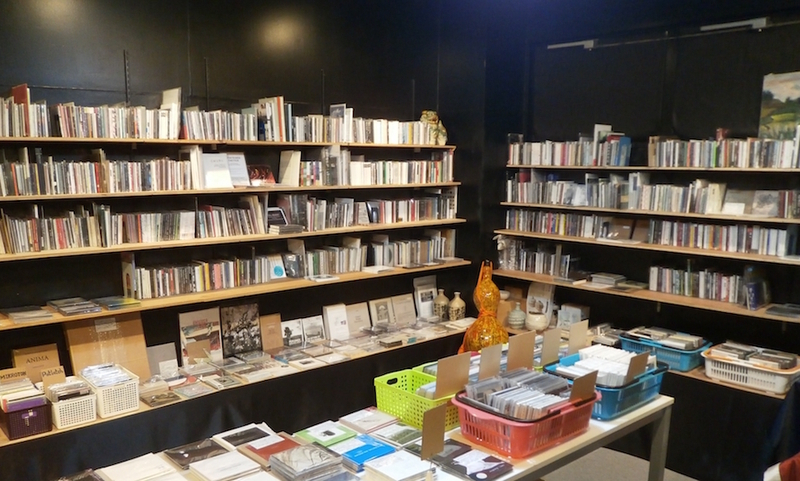 The CD store/performance space FTARRI opened for business in Tokyo on August 6, 2012. In addition to CDs, FTARRI has unique merchandise including one-of-a-kind clothing and accessories. If you're in the area, please stop by. Food/drinks are not sold at the venue. Bringing your own food/drinks is permitted. This is a no-smoking venue. 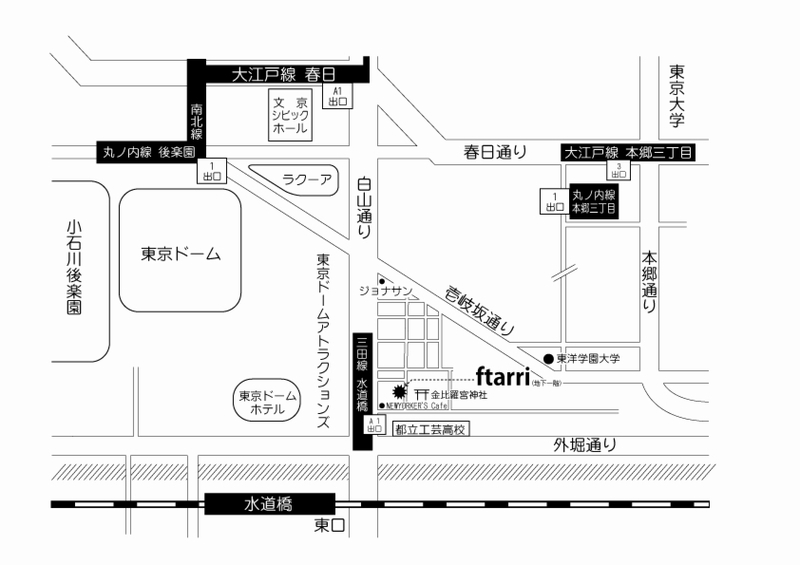 Audience members can purchase FTARRI store goods before and after the event and during intermissions. 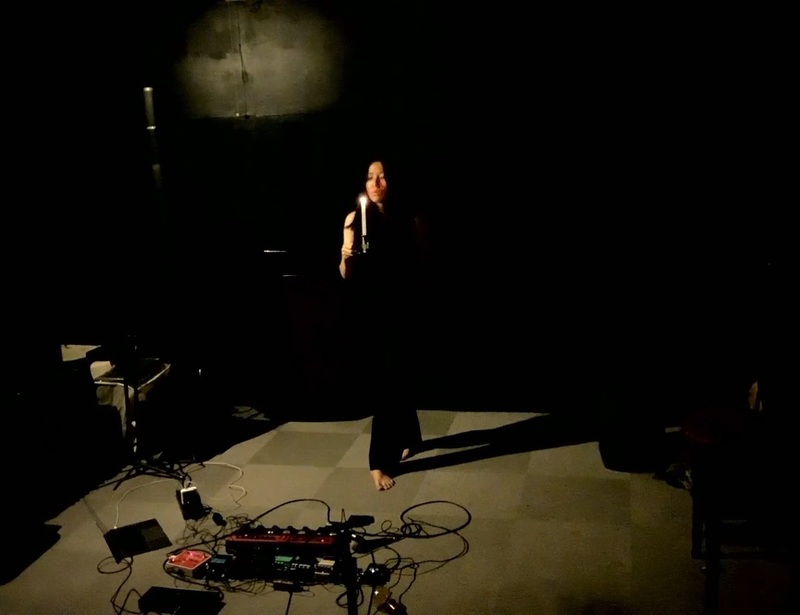 March 2 (Sat.) - open 7:30 p.m., concert start 8:00 p.m.
*Store hours on this day will be 5:00 p.m. - 7:30 p.m.
March 8 (Fri.) - open 7:30 p.m., concert start 8:00 p.m.
March 9 (Sat.) - open 7:30 p.m., concert start 8:00 p.m.
March 10 (Sun.) - open 7:30 p.m., concert start 8:00 p.m.
March 13 (Wed.) - open 7:30 p.m., concert start 8:00 p.m.
March 16 (Sat.) - open 7:30 p.m., concert start 8:00 p.m.
March 17 (Sun.) - open 7:30 p.m., concert start 8:00 p.m.
March 21 (Thu.) - open 7:30 p.m., concert start 8:00 p.m.
March 23 (Sat.) - open 7:00 p.m., concert start 7:30 p.m.
March 30 (Sat.) - open 7:30 p.m., concert start 8:00 p.m.
March 31 (Sun.) - open 7:30 p.m., concert start 8:00 p.m.
April 6 (Sat.) - open 7:30 p.m., concert start 8:00 p.m.
April 7 (Sun.) - open 7:30 p.m., concert start 8:00 p.m.
April 11 (Thu.) - open 7:30 p.m., concert start 8:00 p.m.
April 13 (Sat.) - open 7:30 p.m., concert start 8:00 p.m.
April 14 (Sun.) - open 7:30 p.m., concert start 8:00 p.m.
April 17 (Wed.) - open 7:30 p.m., concert start 8:00 p.m.
April 20 (Sat.) - open 7:30 p.m., concert start 8:00 p.m.
April 21 (Sun.) - open 7:30 p.m., concert start 8:00 p.m.
April 24 (Wed.) - open 7:30 p.m., concert start 8:00 p.m.
April 27 (Sat.) - open 7:30 p.m., concert start 8:00 p.m.
April 28 (Sun.) - open 7:30 p.m., concert start 8:00 p.m.
April 29 (Mon.) - open 7:30 p.m., concert start 8:00 p.m.
May 2 (Thu.) - open 7:30 p.m., concert start 8:00 p.m.
May 5 (Sun.) - open 7:30 p.m., concert start 8:00 p.m.
May 6 (Mon.) - open 7:30 p.m., concert start 8:00 p.m.
May 11 (Sat.) - open 7:30 p.m., concert start 8:00 p.m.
May 12 (Sun.) - open 7:00 p.m., concert start 7:30 p.m.
*Store hours on this day will be 5:00 p.m. - 7:00 p.m.
May 15 (Wed.) - open 7:30 p.m., concert start 8:00 p.m.
May 18 (Sat.) - open 7:30 p.m., concert start 8:00 p.m.
May 25 (Sat.) - open 7:30 p.m., concert start 8:00 p.m.
May 26 (Sun.) - open 7:30 p.m., concert start 8:00 p.m.
May 29 (Wed.) - open 7:30 p.m., concert start 8:00 p.m.